Dr. Stoeger argued that the scientific community should recognize that a researcher who studies the least known genes may need extra time to get results. “People who do something new need some protection,” he said. In explaining why mutations in the gene TP53 tend to cluster in “hot spots,” a new study lays the groundwork for ability to identify the function of any mutation in any cancer gene. The researchers examined the diets of 471,495 adults from 10 European countries through the Nutri-Score lens. They used the British Nutrient Profiling System to calculate a Nutri-Score for the usual diet -- the self-reported foods and beverages commonly eaten -- of each participant. The company said in motions filed in San Francisco’s Superior Court of California that the jury’s decision was insufficiently supported by the evidence presented at trial by school groundskeeper Dewayne Johnson. “The Real Cost” Youth E-Cigarette Prevention Campaign to target nearly 10.7 million at-risk youth through digital platforms, social media, and in-school ads nationwide. Initial data from over 5,000 patients, showed that AI-based analysis was as good as conventional physician interpretation. Further, that analysis was confirmed by direct pathology or a two-year, cancer free period of time in this retrospective analysis. 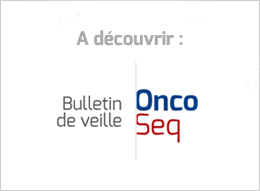 The application is based on data from ELOQUENT-3, a randomized Phase 2 study evaluating the EPd combination versus pomalidomide and dexamethasone (Pd) alone in patients with relapsed or refractory multiple myeloma (RRMM). Data from this study were presented at the 23rd Congress of the European Hematology Association in June. The most interesting details concern the pipeline assets on which Allogene will focus. Most of these date back to Cellectis’s initial alliance with Pfizer, focusing on the discovery of 15 antigens of which only BCMA and EGFRvIII had been disclosed. For 4 critical months in 2015, Clovis $CLVS and its executives led by CEO Patrick Mahaffy maintained that their cancer drug roci had performed beautifully in clinical trials, with a 60% efficacy rate that blew the analysts away. That’s what they told investors, raising $298 million with a fat stock price in July of 2015. And, according to the SEC, Mahaffy knew it was a lie. The past month has seen the U.S. Food and Drug Administration (FDA) expand the use of four anticancer therapeutics and approve a new one, providing additional treatment options for patients with four types of cancer. Deep-learning model picks out two kinds of lung cancer by studying images of tissue. Roche is now the owner of oncology electronic medical record business Flatiron Health and genomic profiling company Foundation Medicine. By spending billions on these assets and making other investments, Roche thinks it will be better equipped to develop and deliver breakthrough medicines. The clinical trial matching feature went live this week for users along with a publications searching app, and are the latest in a series of functionalities that Roche will introduce for its tumor board solution.